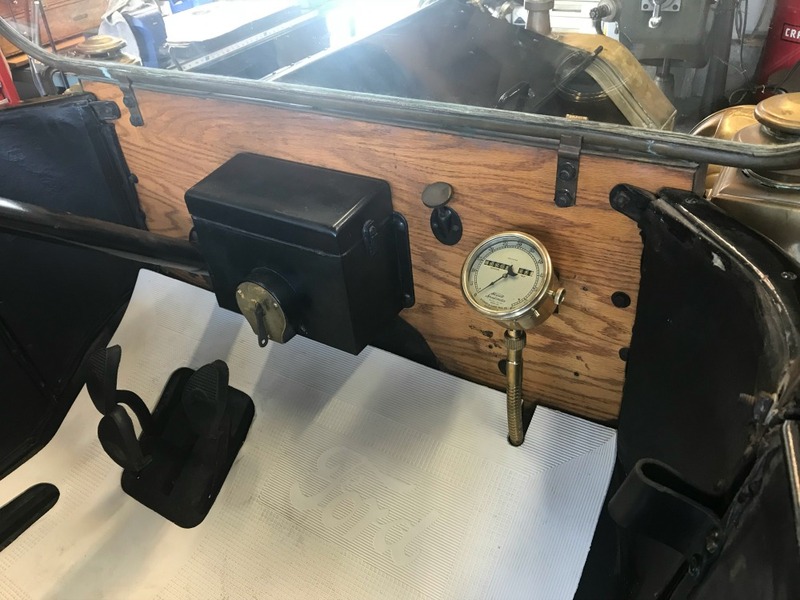 Going through all the boxes of stuff with my grandpa's early 1913 Canadian T. I took out the AC speedometer that was installed and am going to put the car's original Stewart speedometer in it. I would like to know how far it is supposed to be from the top of the firewall. Since the original firewall is gone, I don't know the height. 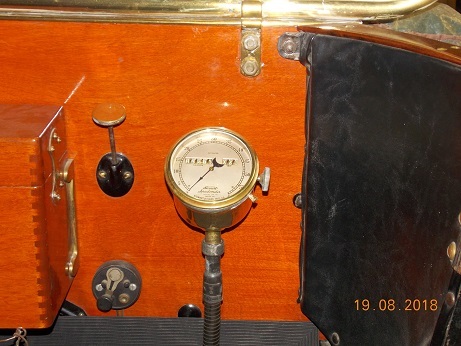 This speedo wasn't hooked up since the 1920's at which time the car had 15587 original miles on it. I seriously doubt the car has had 200 more miles on it since. 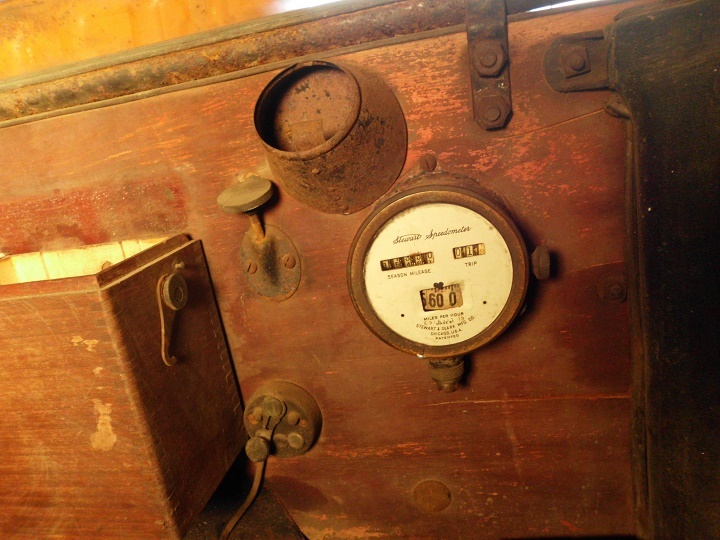 Only the very early '13a had that speedometer. By January, they went to the new flat mount speedometer. If you need help locating where a flat mount goes, I'll be happy to help. 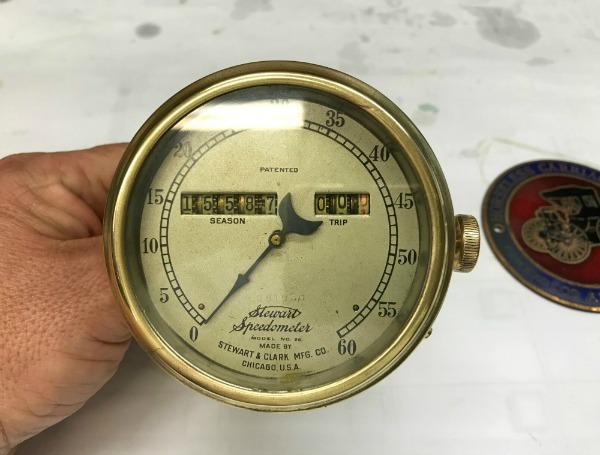 On second thought... after having a closer look at the picture, it appears that the speedometer is located with 2/3 of the distance below the speedometer and 1/3 of the distance above the speedometer. Jim Patrick. Appreciate it Colin! Look forward to hearing from you. I will check my Jan. 13 touring and post it here for you. Might help to have more than one car to go by. Darren. Looks like you have your speedometer in the exact place on the firewall that Colin recommends. Good job. 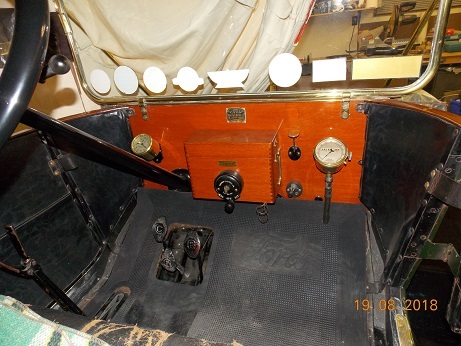 Other question, I have original Stewart speedometer for my 1911 Touring. I would like to know either how far it is supposed to be from the top of the firewall. Is it the same than Darren? I made it out today and my speedometer is different so it wont help you any. It was dark so I could not read the model number but it mounts flat to the firewall. Sorry I was no help this time. Here is a picture of what I have saved in my computer.